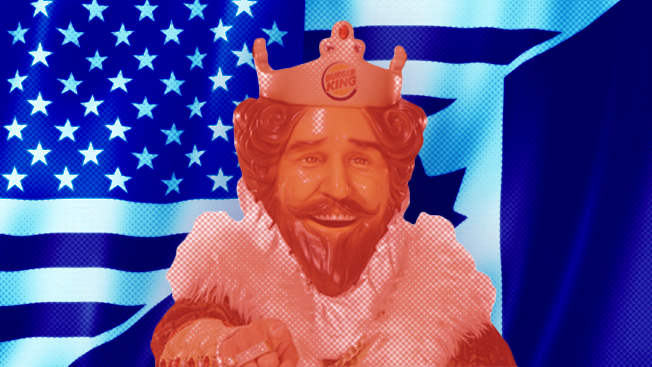 So Burger King might be heading to Canada to catch a tax break, eh? That's not sitting well with Twitter users, per new data from SponsorHub. The fast-food brand—fresh off a hugely successful Chicken Fries campaign on social media—is taking heat for its plan to purchase Tim Hortons for $11 billion and move its headquarters north of the border. Some customers believe it's primarily a move to gain a tax shelter, and the backlash has begun. A perfect favorability score is 100, and BK's score plummeted from 72 on Saturday to 25 on Monday. The Canada development first made the rounds on TV and social media on Sunday. Check out how the favorability scores of all three brands fared on Twitter thanks to the news.